Architecture and furniture during the reign of James I in Britain (1603-25) and his son, Charles I (1625-1649). 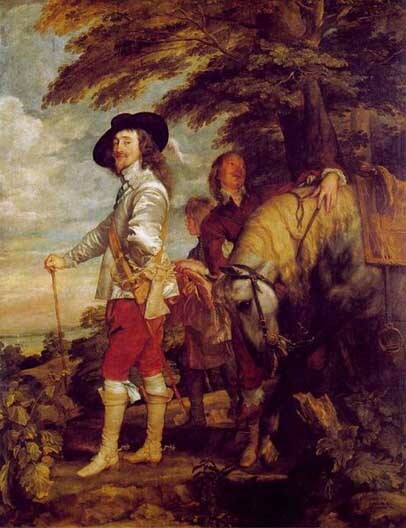 Some historians extend the period to the Commonwealth (1649-1660) and even the Restoration period, including Charles II (1660-1685) and James II (1685-1688). James I succeeded Elizabeth I who was unmarried and produced no heirs. He was king of Scotland, reigning as James VI when asked to assume the throne in England. The King James Bible was translated during his reign and bears his name. In America, Jamestown settlement on the James River are both named after him. The Latin name for James is Jacobus. The English style in vogue beginning with James I's reign is referred to as "Jacobean," as opposed to "Jamesian." Jacobean style is English Early Renaissance architecture and decoration. It formed a transition between the Elizabethan (Tudor) and the pure Renaissance style later introduced by Inigo Jones during James's reign (see Banqueting House). Renaissance motifs were communicated to England through German and Flemish carvers, rather than directly from Italy. Much use was made of columns and pilasters, round-arch arcades, and flat roofs with openwork parapets. These and other classical elements appeared in a free and fanciful vernacular rather than with any true classical purity. With them were mixed the prismatic rustications and ornamental detail of scrolls, straps, and lozenges also characteristic of Elizabethan design. Strapwork was imported from Flemish Antwerp. Although no major shift in architectural style took place during the reign of James 1, England's first Stuart monarch, nonetheless a Jacobean style did emerge in the early 17th century, partly due to the use of many overseas carvers and craftsmen, particularly from the Low Countries. Interior decoration included much stucco work and wood carving, as well as ornate fireplaces and doorways .Decorated "Dutch" gables featured in many new buildings, and this trait continued particularly in domestic architecture in the east of England, where links with the Low Countries were strong. Gable decoration was an important element of Jacobean architecture, and a preference developed for curved and scrolled lines rather than stepped designs. Striking and dramatic skylines were achieved with curving gables, turrets, and towers. In the early 20th century, there was a revival of Jacobean / Pilgrim style architecture and furniture. 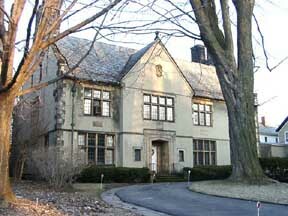 Architecture: Often, Jacobean Revival architecture is lumped with Tudor Revival style.